Interzoo in Nuremberg is the world’s largest trade fair for pet supplies and offers a purely professional environment. Whether you feed and care products, pet accessories, or new products and trends for specialty subjects such as animals in the garden, horse stables and boutique. Interzoo is the ideal platform for international exhibitors to present their offer here the most important decision makers in the industry. Exhibitors here benefit from direct contact with their target audiences. On the whole the organisers welcomed on the 4 days of the fair, from 26. May to 29. May 2016, about 1800 exhibitors from 61 countries and 39000 visitors from 117 countries on the Interzoo in Nuremberg. 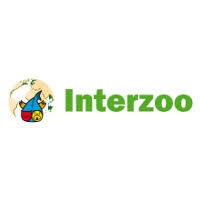 The Interzoo will take place on 4 days from Tuesday, 08. May to Friday, 11. May 2018 in Nuremberg.